The Mayor of Reading and her son loved our Soundmap! "It was brilliant . My youngest was transfixed and found every sound. I've never seen him so enthused before." Most people imagine we're always out in the wild...but no, we sometimes come indoors & love a bit of high tech and thanks to the amazing William Mathew, Richard Bentley and Richard Ganpatsingh, our idea came to life. If you want to know how we did it in technical terms, you can read William's blog. Richard Bentley sought out a genuine Berkshire Hedgehog and recorded it's snuffles and grunts. Why did Intelligent Health Commission this and what's it all about? You might choose to meander through the park on your way to work where you hear the birds tweeting, behold the trees and smell the grass - and if you keep it up whatever the weather, you’ll gain a sense of time and connection with nature’s seasonal cycle. A great way to start your day! 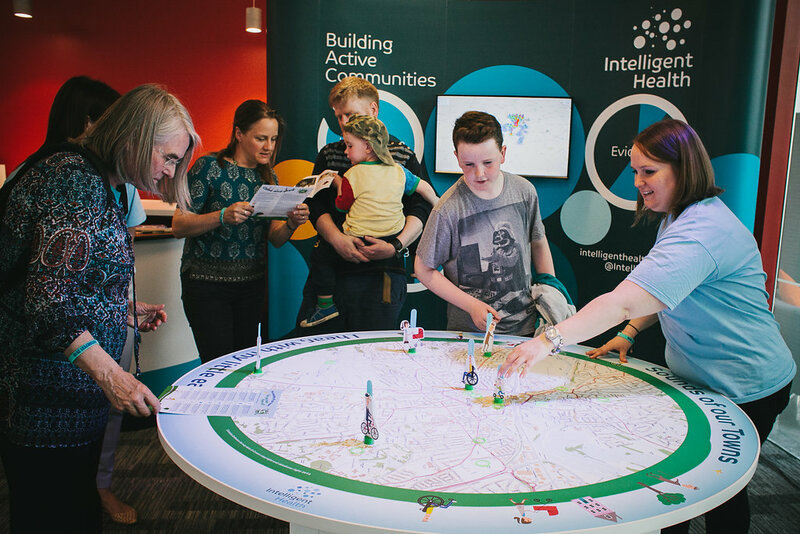 Intelligent Health's flagship Beat the Street programme increases physical activity levels, but that’s not all; They transform towns and cities across the UK into real life games. Participants discover more about the place they live and connect with their community along the way. Yes, we know screens can encourage us to stay on the sofa, but at Intelligent Health they see technology as an enabler. Beat the Street, for instance uses Radio-frequency IDentification (RFID) readers called ‘Beat Boxes’ placed on lampposts around the town. 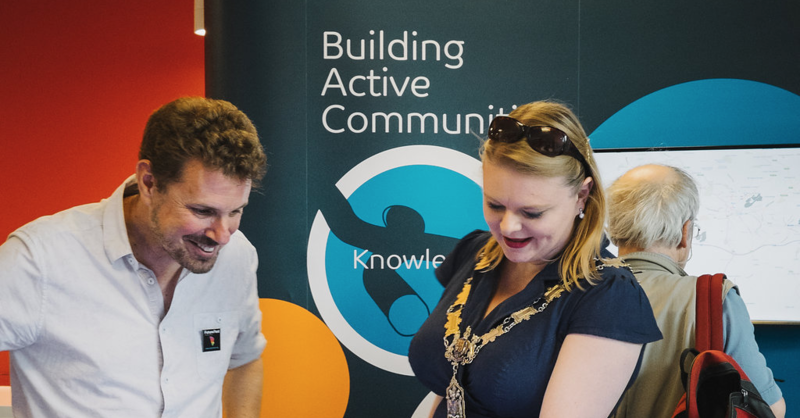 Excited by the ‘game’ element, 1000s of people sign up and get active with their Beat Card, monitoring their movements via a website where they can see their progress and compete to make their team beat the rest and be the best. 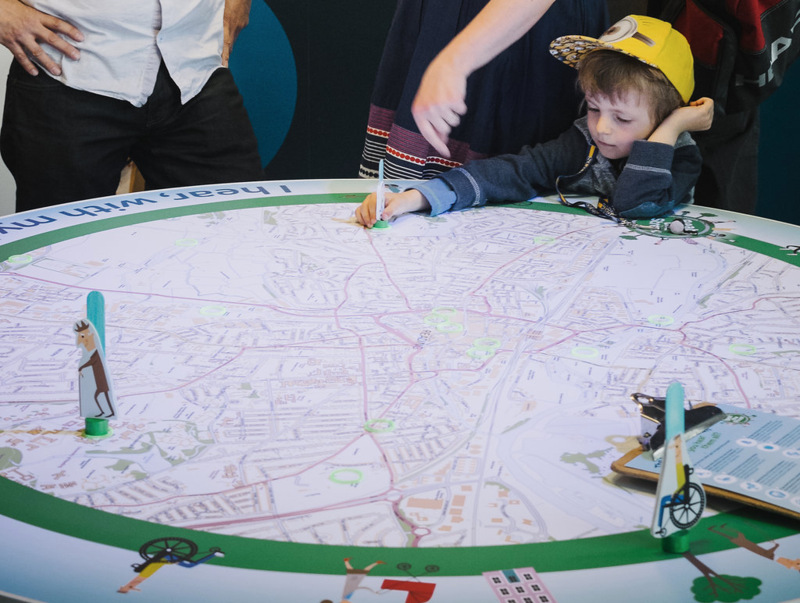 If you can’t catch the Soundmap at Tomorrow’s Reading, you can come and play at Meadow Madness - we’ll be there with Beat the Street at Forbury Gardens, 14th May. Hope to see you there! The Interactive Soundmap was created by Natalie Ganpatsingh (Project Manager and Conceptual Designer), William Mathew ((Design and Fabrication), Richard Bentley - (Location Sound Recordist/Sound Designer), Richard Ganpatsingh (Digital Architect from HeathWallace) programmed the Raspberry Pi computer and Scratch software, assisted by his 10 year old son Zak. What's the future for High Tech Nature Nurture? We'd like to develop the 'Sounds of our Towns' map into an educational resource; an inspirational tool that encourages young people to learn about hardware and coding not within 4 walls, but out there. An enabling tool, through which they can determine their own learning journey using sound, photography and video; personalized mapping of what matters to them. And why not throw in a handful of augmented reality - such as the Blippar app through which you can bring physical objects in our town to life with immersive digital experiences. It's no surprise that we value trees; not only their importance in our eco-system, but their positive impact on our health and wellbeing. Our Talking Trees idea works like this: You're invited on a journey to discover 12 trees. You venture up to a tree and as if by magic, it sings you a song, tells you a bit of history or recites a poem. The tech beneath the magic could employ either a smart phone app, pressure sensitive hidden ground pads or even PIR (passive infrared) motion sensors. We could hide ruggedised directional speakers disguised within the trees or just let people listen via their phones. 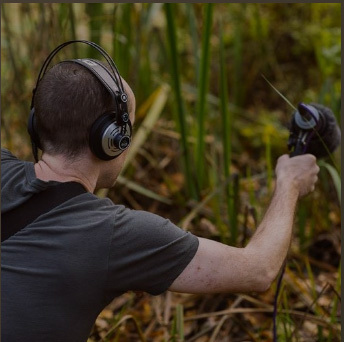 We'd capture the audio from our talented pool of local poets, actors and natural historians. We could use RfID technology and an open source programming platform such as Raspberry Pi or Arduino. Local schools could get involved, creating their own interpretations and audio trails. We could create similar trails to enable people to discover local heritage or cultural locations. How can we encourage more people to play in the park and take a walk on the wild side? I know, use Makey Makey to rig up a park! Touch the oak tree - what sound does it make? Tap those sticks - wow it's a keyboard! Strum that grass - is that a harp? We'll go crocodile clip crazy in the local park and organise a programme of sensory events, connecting people with place in an unusual auditory manner. Thanks to Salvo Toscano for the first and third photo and to Richard Bentley for the second. ← Nature Nurture goes High Tech with Soundmap!